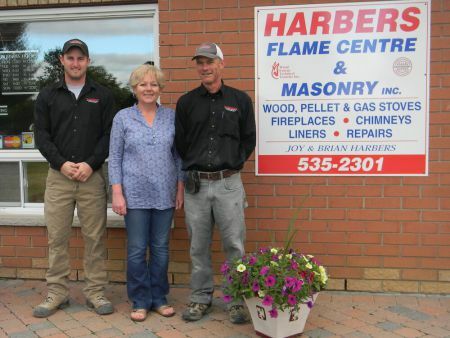 About - Harbers Flame Centre & Masonry Inc.
We are a family owned and operated business located on the outskirts of the small town Williamsburg in South Dundas Township. Joy and Brian Harbers began with Harbers Masonry in 1990 offering masonry services for both new and older homes. As time went on and the business grew, our services started to include chimney building, chimney restorations, re-linings, and fireplace facings. This led to the opening of Harbers Flame Centre & Masonry in 1995. We began with a modest showroom to present hearth products to our clients. Today we have a full line of wood, gas and pellet stoves and fireplaces to offer. Our showroom has seen many changes over the years, and will continue, as we constantly update our displays to reflect the designs and trends of today. We only offer high efficient and excellent quality hearth products to our clients. Our philosophy is “use what you sell”. Before a fireplace or stove is offered at our store, we experiment and use the product ourselves first. This gives us the advantage to know what we are selling and how it will perform for you. When purchasing a heating system from us, a visit to our showroom is very helpful for you the consumer. We will discuss with you what type of system would be best suited for your home and lifestyle. Once we have determined what type of system would work for you, then we will schedule an on site visit to your home to help decide the location that would best suit the appliance and heating requirements. A formal estimate is done at that time after details of venting and installation is confirmed. We also offer design options to help complete the finishing touches of your fireplace. Our quality of workmanship and service is regarded as a high standard in our company. We strive on providing you with the best possible support, service, and clean and efficient installations. We invite you to come and visit our showroom. Let us offer you our knowledge and experience that allows you to make an informed decision about your heating system. Our goal is to provide you with a product and design that you can rely on and enjoy for many years to come. Brian Harbers is a Certified Licensed Mason with over 25 years experience. Brian is a member of W.E.T.T. (Wood Energy Technical Transfer) and certified as an Advanced Technician, Advanced System Advisor, Advanced Sweep and SITE Comprehensive Inspector. He has over 20 years experience working with wood burning systems. You will find Brian out on the job sites working on masonry repairs and installing heating systems. When not at work his passion is to research and design modern style mantels and finishes for fireplaces. His unique work can be seen in our showroom. 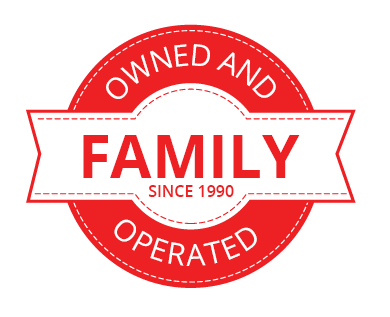 Matt Harbers started his heating career in the HVAC industry and after 5 years he joined the family business focusing on fireplaces and stoves. Matt is a gas technician with his G2 license. He is also a member of W.E.T.T. (Wood Energy Technical Transfer) and certified as a Solid Fuel System Advisor, Solid Fuel Space Heating Technician and a Site Basic Inspector. Matt is continuing his education with W.E.T.T. He can be found out on the job sites installing heating systems and working on masonry repairs with Brian. If not on the jobsite, he is working in the office or helping assist clients in the showroom. Matt is a Volunteer Firefighter with South Dundas Fire Services, working with the Williamsburg Dept. firefighters. Matt is a great baseball fan. He has been playing the game since he was four and can be found on the diamond or enjoying a Blue Jays game. Joy Harbers can be found in the showroom helping clients with their heating options. Joy attends fireplace and stove seminars every year to learn what is new in the heating industry. She will share the trends of today and work with you to create the style, warmth and comfort that you and your family can enjoy on those cold winter days. Joy loves to bake and spends her spare time creating sweet treats for her family and friends.